John Locke (1632-1704) was an English philosopher – instrumental in founding modern philosophical empiricism and political liberalism. 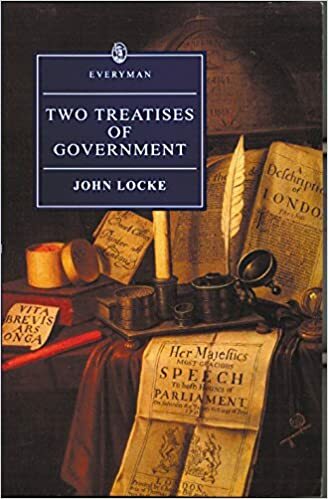 Locke developed the concept of individual rights and the social contract – the idea government was based on rights and responsibilities Locke was an influential figure in the Enlightenment and the American revolution. 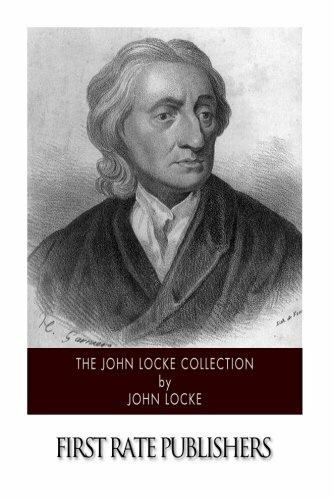 John Locke was born 29 August 1632 in Wrington, Somerset, England. He was brought up in Pensford, near Bristol. In 1642, when Locke was ten years old, the English civil war broke out. His father served as a captain for the Parliamentarians under Oliver Cromwell. After the Civil War ended in 1646, Locke aged 14, was sent to Westminster School in London. He was an able student and was elected a King’s Scholar for his academic merit – a form of scholarship. However, he did not particularly enjoy his time at school; he later wrote a pamphlet “Some Thoughts Concerning Education” (1693) criticising the emphasis of public schools on corporal punishment and a dry, narrow, academic outlook. Locke felt education should promote more than book learning, but good morals and the development of reason. Aged 20, Locke went to Christ Church, Oxford University. Again he found the medieval syllabus, with emphasis on classic texts, insipid and uninspiring. 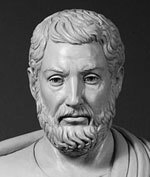 Locke was not impressed with the scholastic tradition which saw classical figures, such as Aristotle held up unquestioningly as the source of all knowledge. However, in his spare time, Locke did pursue his own reading – preferring the new natural sciences of chemistry, medicine and physics. 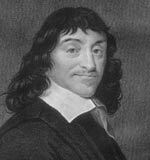 He also read the works of modern philosophers, such as Rene Descartes. Locke took classes in medicine and collaborated as the junior partner with Robert Boyle on his groundbreaking research on human blood. Locke obtained a bachelor’s degree in 1656, and would later gain a bachelor of medicine in 1675. After the death of Cromwell and restoration of the English monarchy in 1660, Locke saw rapid social change. The puritanical strictness of the Cromwell years quickly turned on its head. Many of his scientific friends moved back to London to form the Royal Society. Locke stayed in Oxford, where he was appointed a fellow at Christ Church. In 1666 Locke met Lord Anthony Ashley Cooper, Earl of Shaftesbury. The two become close friends sharing a similar political outlook. Ashley was an influential Whig – the political opposition party supportive of Parliamentary democracy, civil liberty and religious tolerance. Also Ashley, like Locke, supported a Protestant succession and was suspicious of Catholic influence. Locke was employed as Ashley’s physician and, as evidence of his real medical skill helped performed and arrange an innovative operation to place a silver tube into Ashley’s liver. In 1688, Locke was invited to join the Royal Society. He undertook research with Thomas Sydenham, one of the countries leading physicians. Locke also pursued his philosophical interests, speaking with friends and writing articles. There was an important overlap between his medical research and philosophical views. Locke developed philosophical systems which emphasised reason, understanding and empirical evidence. This stood in contrast to former ideas of ‘innate knowledge’ – which could be traced back to philosophers, such as Plato. To Locke, the philosopher should take nothing for granted, but use his God-given reason to understand the world. This became known as philosophical empiricism and was very influential for the European Enlightenment – which saw many old ideas and assumptions swept aside as people re-examined the world they lived in. An ‘Essay Concerning Human Understanding‘ (1689) is an important explanation of his empirical understanding, which describes the mind as a blank slate to be filled with knowledge and experience. In this ground-breaking philosophical work, he expounds many important themes. He discusses the interaction between primary qualities of bodies and secondary qualities. e.g. how the mind can give significance to water molecules by viewing it with the power to cleanse mind and body. How personal identity comes from consciousness. Locke’s close friend and political ally Ashley was appointed Lord Chancellor in 1672, but Ashley soon fell out with King Charles II and was imprisoned for a year in the Tower of London. Under threat of arrest himself, Locke went abroad to France. Living in Paris and Montpellier, Locke became aware of the stark inequality in French society – he noted in his journals the stark contrast between the poverty of the peasants and extravagant luxury of Louis XIV. Locke returned to England in 1679, but it was a turbulent time with a political schism over the succession to Charles II. Locke and Shaftesbury supported the exclusion of the Roman Catholic James. This opposition to the king meant Locke, tired of being watched by government spies, fled again to Holland in 1683. In Holland, he became friendly with like-minded dissenters. He met the great rationalist philosopher, Baruch Spinoza. Locke’s political philosophy firmly rejected the old concept of the Divine Right of Kings. Locke saw no convincing reason to justify the absolute rule of a king, who could easily become a tyrant. It is worth noting that Charles I’s insistence on his divine right to be absolute monarch was a major factor in the English Civil War. Locke helped to permanently end this notion. Locke also rejected papal infallibility, which made him opposed to an English Catholic king. 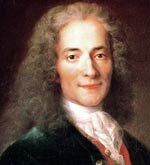 His second treatise was concerned with how political power should be manifested. 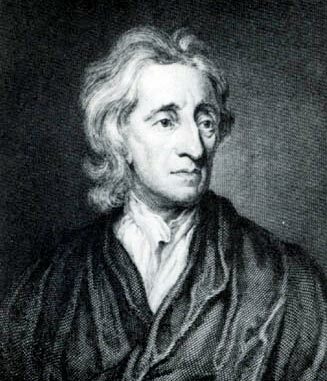 Locke sought to emphasise that power must be exercised with moral consideration for the public good. Locke’s social contract promoted the idea that all human beings had a natural set of rights and duties. From this starting point, the civil government required consent from those who it ruled to enforce the law. Government and the legislative body had the right to implement just laws, but not abuse the natural laws of individual rights. 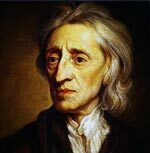 Finally, Locke supported the right of society to remove bad governments – by force if absolutely necessary. Although these ideas seem commonplace in the Twenty-First Century, it was radical for the Seventeenth Century. It helped formulate early ideas of democracy and the fallibility of rulers. It emphasised the rights of an individual against the tyranny of monarchs and can be seen as an early proponent of classical liberalism. Locke was a member of the Church of England and a Protestant Christian. He generally supported religious tolerance, writing ‘Letters Concerning Toleration’ (1689–92) in the aftermath of European conflict over religion. Locke helped to draft the English Bill of Rights (1689) which limited the Royal prerogative power, stressing elections should be free and fair and legislated for a limited religious tolerance (to all Protestant faiths). It did not go as far as Locke wished regarding religious tolerance, but it was influential in the direction of the English political system. In later years, Locke suffered from ill health and retired to High Laver in Essex, where he continued to write and entertain friends, such as Sir Isaac Newton. Locke is considered a founding figure of the European Enlightenment – in terms of both political and scientific methods. He helped to lay the foundations for classical liberalism, and a new basis of government which moved from absolute rule to government by consent and social contract. Citation: Pettinger, Tejvan. “Biography of John Locke”, Oxford, www.biographyonline.net, 12th December 2016.